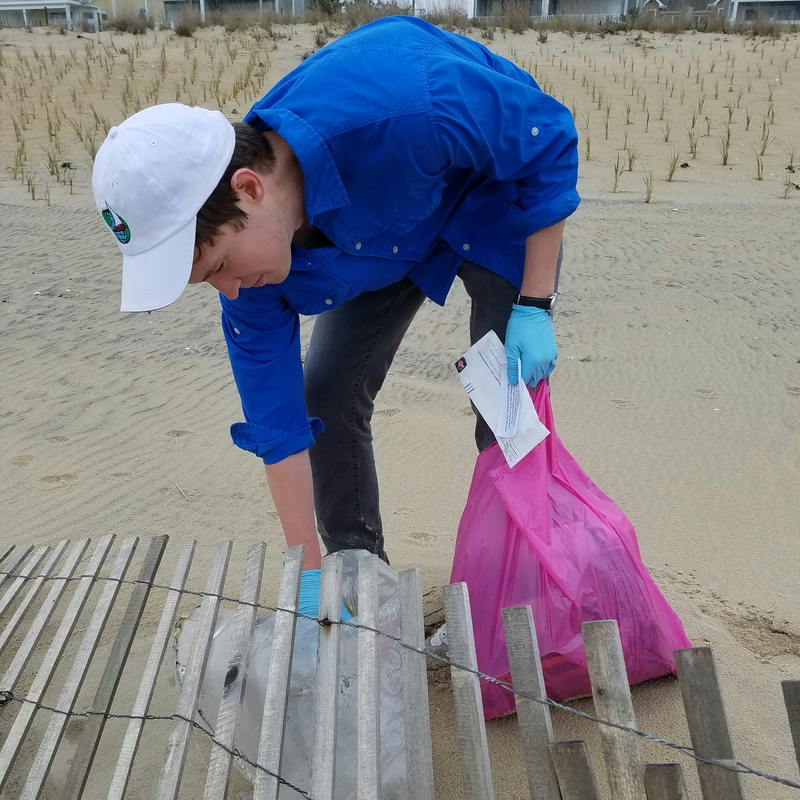 Earth Day brought rain to the Town of Fenwick Island, but the weather did not deter the residents. They spent Saturday removing potential marine debris from their streets and beaches, working as a community to improve ocean sustainability. The Educational Passages team discovered Fenwick on NOAA’s Earth Day marine debris cleanup page which linked to the island’s site. Our team joined the town, happily contributing to this second annual event. We are impressed by the town’s efforts to keep our ocean clean, but even more impressed by the sense of community they have cultivated. Educational Passages aims to create such communities. We empower students across the world, connecting them to the ocean while building transoceanic classrooms. In the past, we’ve required the students to mitigate 35 lbs of marine debris before launching their mini-boat. As we continue to encourage this, we will formalize an action plan component within our Ocean Literacy Program drawing from the Environmental Literacy Model developed by A. Oshry with the Howard Hughes Medical Institute (HHMI). Our lessons will include an Empowerment piece, preparing students to conduct their own issue investigations. Some may decide to clean marine debris, while others may choose lobbying their communities to change consumption or disposal habits. Others may set up community cleanups, such as Fenwick’s Earth Day event. We look forward to seeing this event grow and to collaborating on the goal of global ocean literacy.